Chief minister N Chandrababu Naidu has announced a Rs 100 crore prize for any scientist from Andhra Pradesh who wins Nobel Prize. The announcement is first of its scale for any academic achievement, in a country where cash rewards for sports persons winning international medals like those in Olympics is not uncommon. Not long ago, Olympian silver medalist P V Sindhu was showered with cash incentives running into nearly Rs 20 crore by various governments and organisations. Inaugurating Indian Children’s Science Congress at Sri Padmavathi Women’s University at Tirupati on the sidelines of 104th Indian Science Congress, Naidu came up with a bumper offer. India has not been able to produce many Nobel Prize-winning scientists despite having abundant talent. Those who had won the prize had settled in other countries. There is a lot of potential among the youngsters here and I am sure, if they are encouraged, Nobel laureates would emerge from them, said by AP CM. 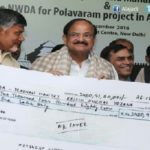 In this connection, Naidu made a spontaneous announcement that if any scientist from Andhra was able to get the Nobel Prize, he would give a prize money of Rs 100 crore to him or her. I want the young scientists to take it as a challenge. I am not bothered how you get it. 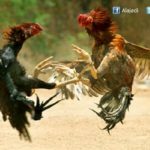 It depends on how hard you work and how much research you would do. I am announcing the cash incentive to inspire you. 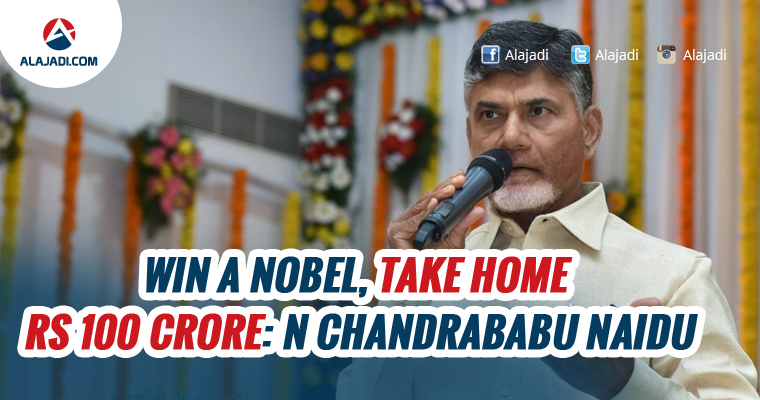 And you have to strive hard to win the Nobel Prize and bring glory to India, said by AP CM. Stating that his government would encourage scientists to excel in their research activities, the chief minister said called upon the students to come up with innovative ideas in the field of science. You can work wonders if you add innovation to technology. India needs young and innovative scientists, who are brimming with ideas. Come up with new ideas, which might pave way for major scientific breakthroughs in future, he said. 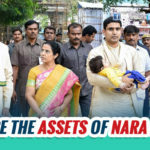 Earlier, he laid foundation stone for a Rs 1,500-crore science museum to be set up in a sprawling 200-acre campus at Alipiri, the foothills of Tirumala.